Tiny MarathonS aptX Bluetooth Stereo Sport Fitness Headset. 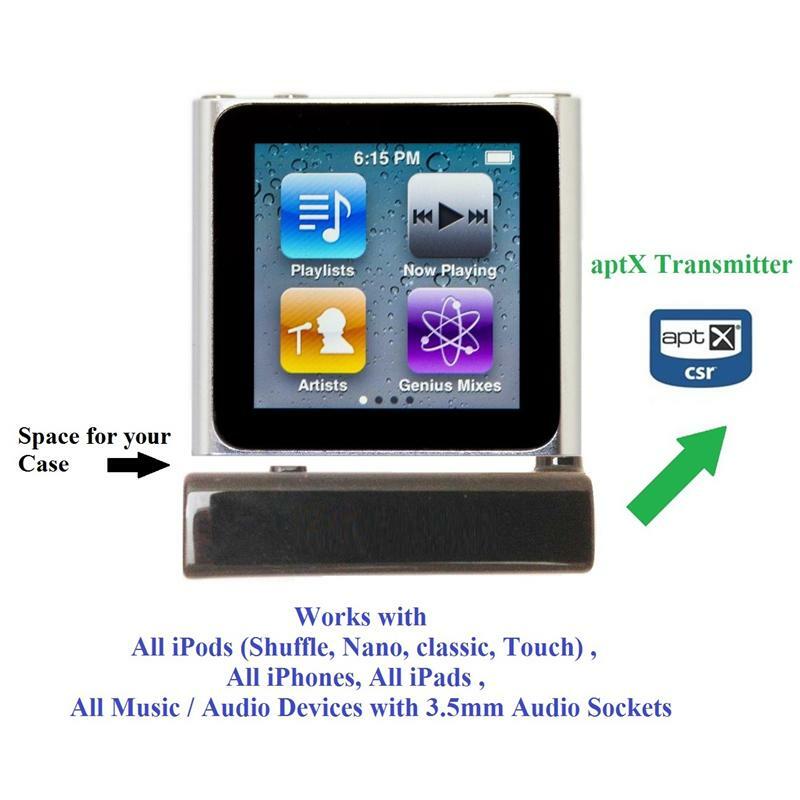 The ultimate UNIVERSAL aptX Transmitter and Headset solution for stereo music enjoyment. 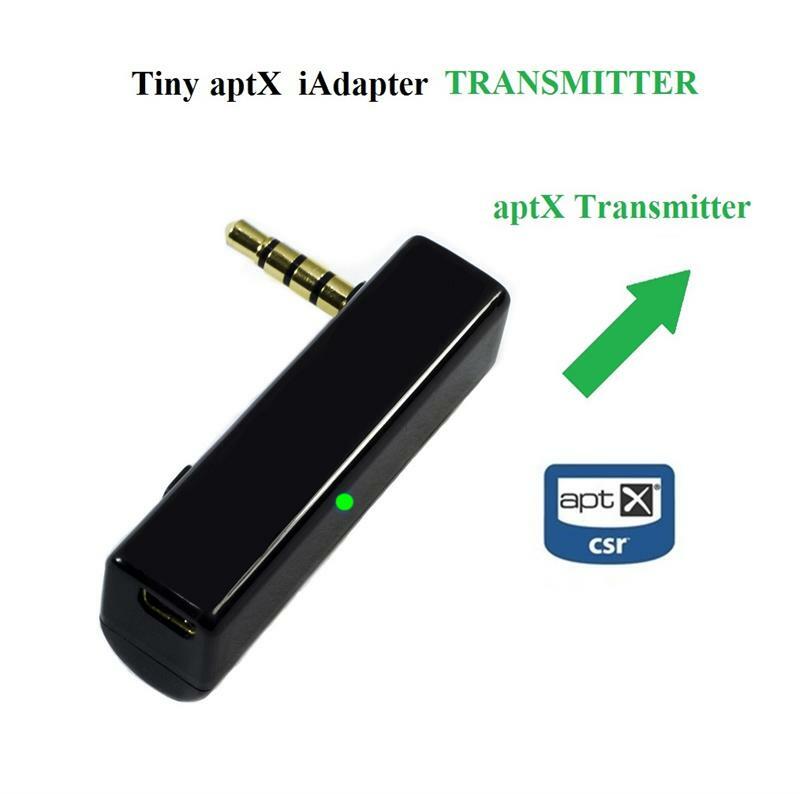 UNIVERSAL Tiny iAdapter aptX Bluetooth Stereo Transmitter PLUS Tiny MarathonS Bluetooth Stereo Sport Fitness Headset. iAdapter attaches to your music/audio devices through the UNIVERSAL non-proprietary 3.5mm audio socket, and well designed to accommodate your music/audio devices protective casing. Wirelessly transmits with iAdapter in aptX high-fidelity stereo music from music device to MarathonS stereo headset. Remote control AVRCP implements Next Track, Previous Track, Play/Pause functions. iAdapter Transmitter AVRCP works with iPods/iPhones/iPads that support remote control commands through the 3.5mm audio socket, and most smartphones/devices that support remote control commands through the 3.5mm audio socket. Very tiny size and weight for iAdapter aptX Transmitter (0.39" X 0.59" X 1.77" and 0.3 oz) and MarathonS Stereo Headset (1.18" X0.55" X 0.3" (outside ear) , 0.3 oz), with awesome performance. 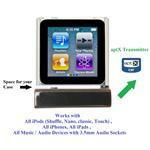 iAdapter: Tiniest Bluetooth Stereo Transmitter with re-chargeable battery available. MarathonS: Tiny and very comfortable fit for sport fitness activities. iAdapter_plus_MarathonS offers the unique innovation to wirelessly enjoy your music in aptX. Transmits in high fidelity aptX to MarathonS aptX Bluetooth stereo headset. MarathonS aptX hi-fidelity stereo music Bluetooth Stereo Headset. - Remote AVRCP controls for music: Next Track, Previous Track, Play/Pause. Adjustable cable between left and right ear-pieces. Awesome quality music and voice, and loud.